As many of the readers of this forum know, holograph maintains an excellent website - www.holoscenes.com which documents a tally of GEOCAC adventures, as well as some excellent maps. If you have visited any of these monuments, please list the pictures to provide a gallery/tally of what's out there so far! 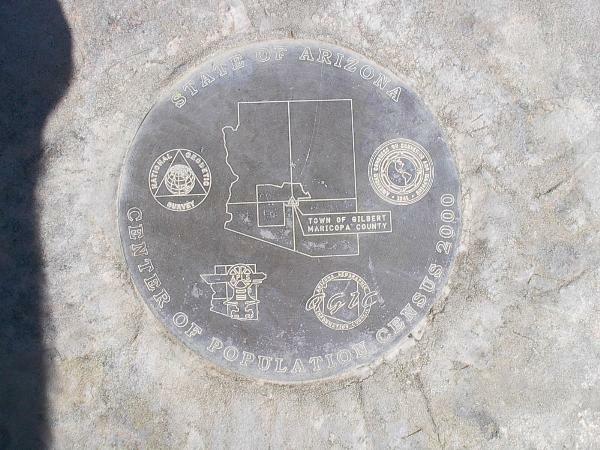 I have visited the Arizona version (there is/was a cache based on it), so I can fill in the AZ square! Sounds like a good excuse for kilted benchmarking! 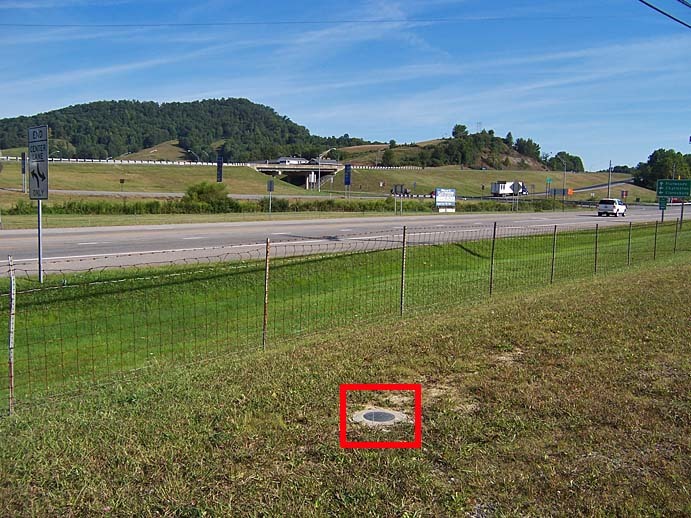 In case you aren't aware, there are currently a couple of articles about the national and state CoP markers in Berntsen's Caching Now magazine, with a request for people to send in their photos of people visiting the markers. 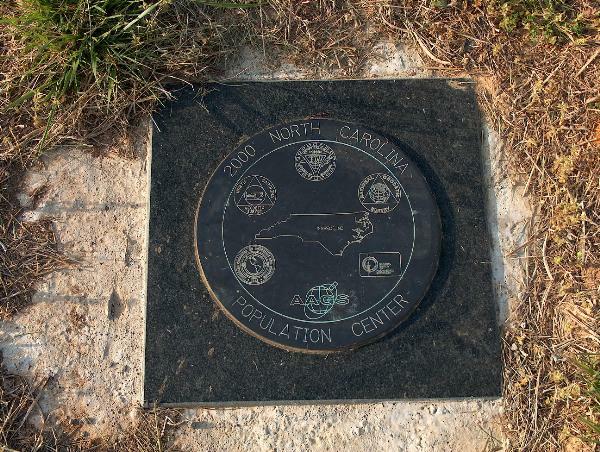 Here is the link to the 200th Anniversary article on commemorative marks which includes the year 2000 Center of Population mark: http://celebrating200years.noaa.gov/survey...ks/welcome.html . 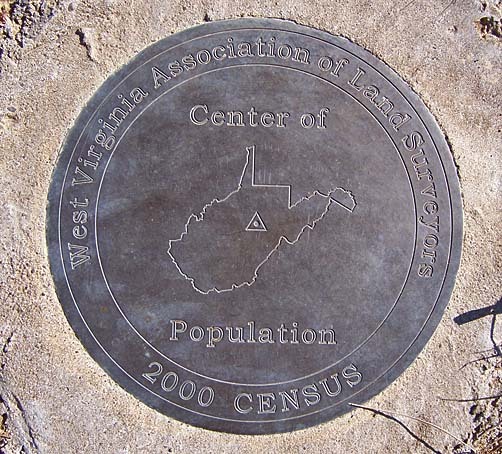 Also see the NGS www page on State Centers of Population at: http://www.ngs.noaa.gov/INFO/COP/ . Hmm.. I want to go get Georgia's.. maybe soon. 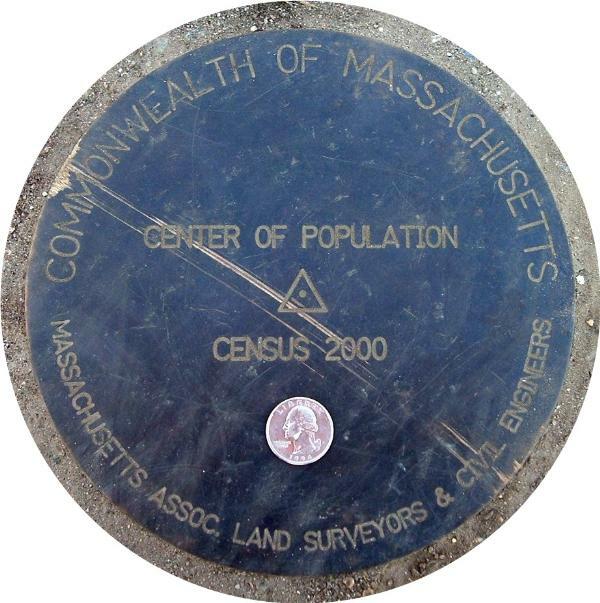 I placed a cache (two-stage multi beginning near the marker) near Massachusetts' population center -- "Center of Mass (GCNAT6)"
See the cache page for links to other articles about population centers. 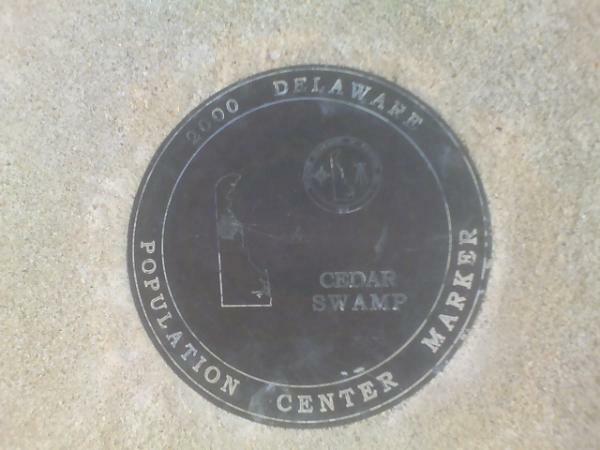 I visited the New Jersey Center of Population monument several years ago. 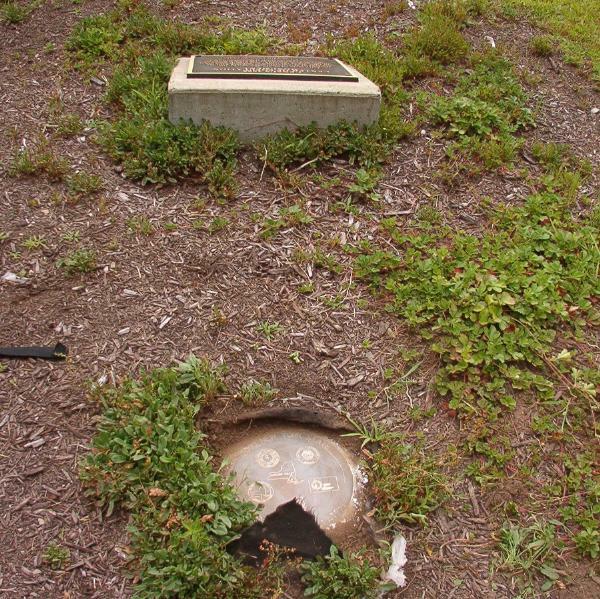 It is just off the N.J. Turnpike a few miles south of New Brunswick in the borough of Milltown and located on the grounds of a municipal building. Unfortunately my photos were archived and unavailable at the moment. I have also seen the Maryland COP monument located in Laurel. I set that mark. What a nice little town. Yes I know and it was the main reason I went by to see and log it. You are a great mentor Mr. DaveD. The first recorded modern usage of the term can be traced to a book entitled "Les Aventures de Telemaque", by the French writer François Fénelon. In the book the lead character is that of Mentor. This book was published in 1699 and was very popular during the 18th century and the modern application of the term can be traced to this publication. This is the source of the modern use of the word mentor: a trusted friend, counselor or teacher, usually a more experienced person. Some professions have "mentoring programs" in which newcomers are paired with more experienced people in order to obtain good examples and advice as they advance, and schools sometimes have mentoring programs for new students or students who are having difficulties. I have a cache at the Vermont Population center. It is an offset that includes finding the mark. I dont have a picture handy, but I know it surprises a lot of cachers when they stumble upon it. It's in a very inconspicuous place in a farmer's field in Warren, VT. I'm hoping to nab the Illinois one here soon. It should be around the small farm town of Mazon, IL. Will update you folks if I nab it. 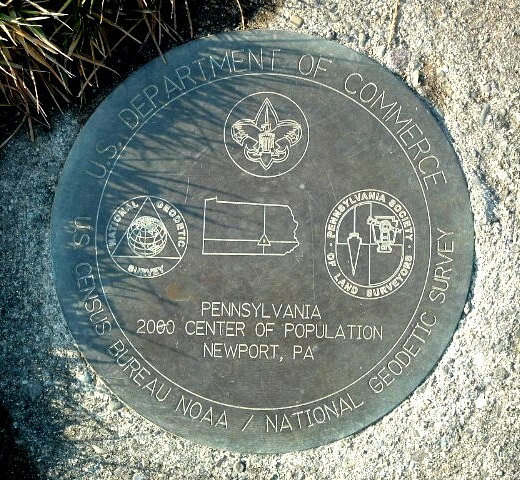 In the US Benchmarks Waymarking category there are logs for these markers for only 9 states: Maryland, New Mexico, Delaware, Pennsylvania, Colorado, Massachusetts, Virginia, Tennessee, and Arizona. Picture from a log at NC's center...in a town called "Erect". 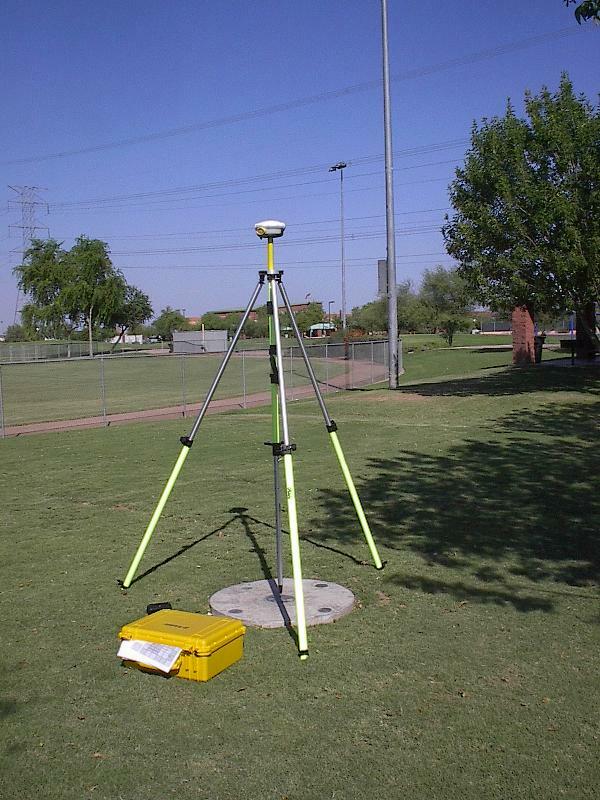 DI0243 HT_MOD - This is a Height Modernization Survey Station. How would someone from Erect refer to themselves? I just wrote down five ways, and couldn't (didn't want to) post any here. Being from Placentia CA is confusing enough. Yes, it is Placentian. No need for Viagra there. They seem to have both horizontal and vertical control. This is Ct's. 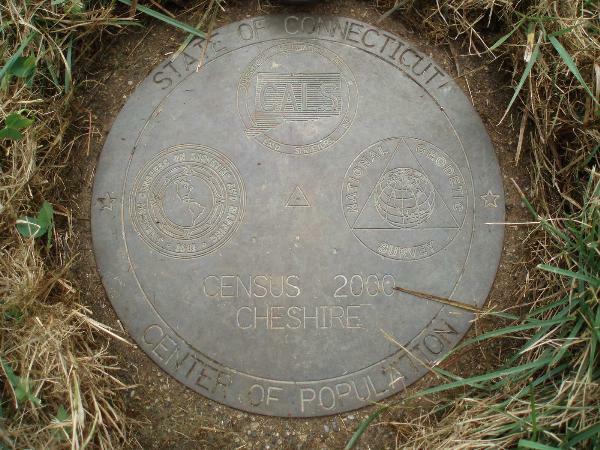 It's located in Cheshire, between 2 ballfields. me, just a question. Do the other ones around the country have PID#'s? Quite a few of them do have PID's. I have a KML of several of them I have been working on and updating as well. They will accept any US Benchmark at Waymarking. The Geocaching database doesn't contain the PID, so there is no way to log it on GC.com other than through Waymarking. BTW, the PID is DH7070, not DH0707. 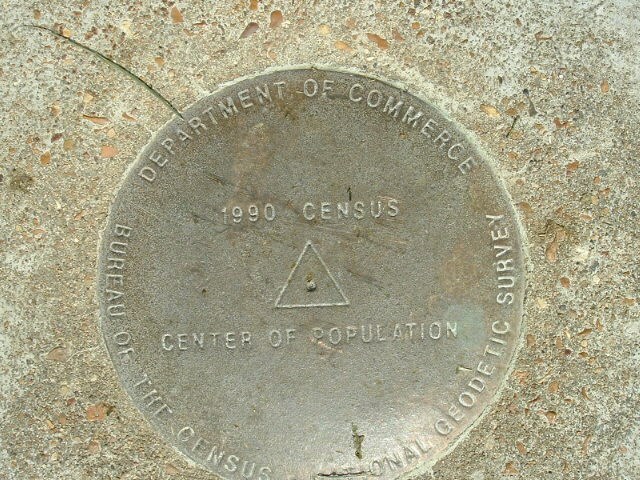 I have a cache at Oklahoma's mean population center, but no one has ever set a marker. It fell on an old abandoned railroad bed (no tracks), about 100 feet from a State Highway ROW. 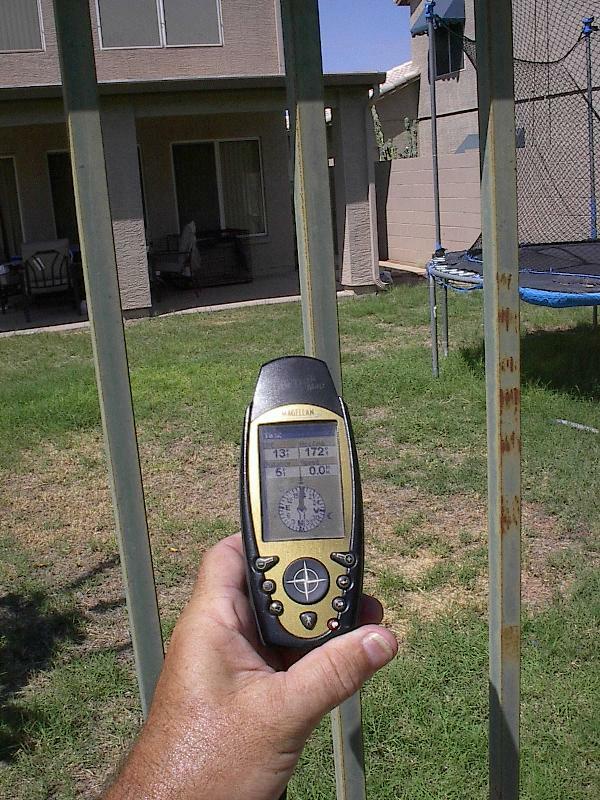 I have the TX marker (3 pics) from Holland, TX. I still dont understand how others post a large static image in the thread. And my imageshack pix is so small and/or I can't upload the picture from my PC. I clearly need to spend a few minutes learning the tools better. Either log and upload them into the Waymarking Category, or upload them somewhere else, such as Flikr, or one of your archived caches. I put lots of strange pictures on one of my missing geocoins. Which is where I'll put the Center of Populaton disk photo, if and when I find it. Then use the url from that site. My work in Sullivan County, New York is done! After the next update, I should have turned Sulliovan County red (on holographs' maps)! Next project is Monroe County, Pa. 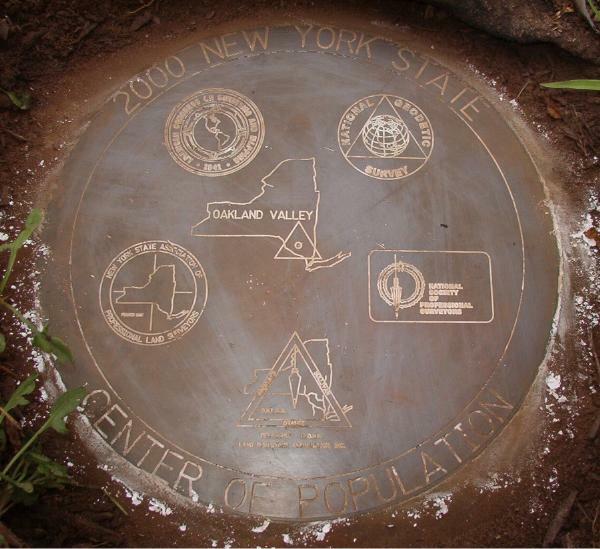 In the meantime, the New York Center of Population marker is a short distance north of Port Gerbil. I should get that this weekend. 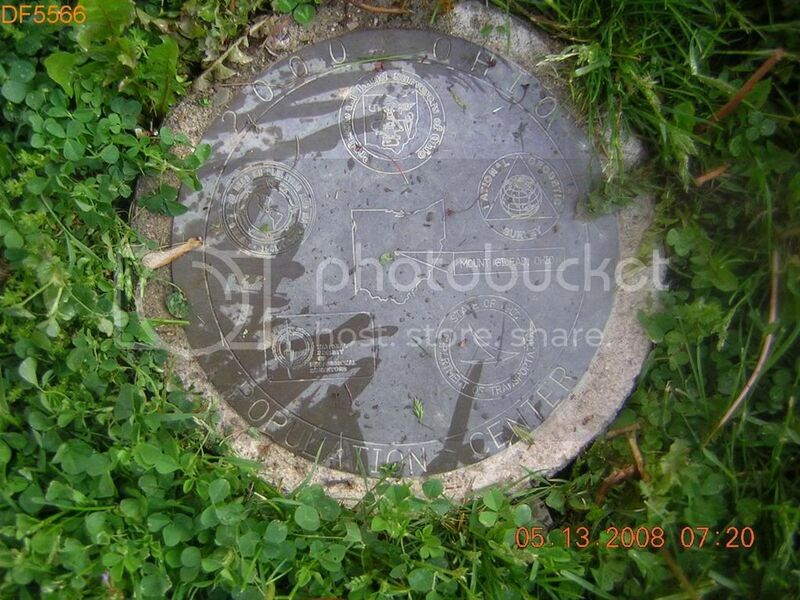 I'm not a fan of WhyBotherMarking.com, so I'll upload the photo to one of my dead geocoins (and log it with NGS). And post the photo here. You all may wait with baited breath. Boy! These things are large! Okay. Who told on me?!? I was cleaning off the disk, when a gentleman approached. He was driving through the parking lot when he espied us, and wondered what we were doing. He was part of the crew that set the disk. We had a discussion. 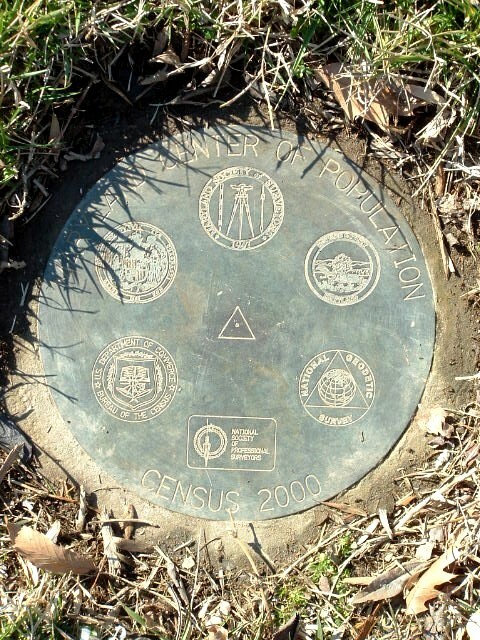 The disk is a few miles off from the actual center, but NGS wanted a public spot, with GPS coveraage, so the Delaware and Hudson Canal Park was selected. He was delighted to see someone actually looking for the disk, and had never heard of using cornstarch to bring out the markings. 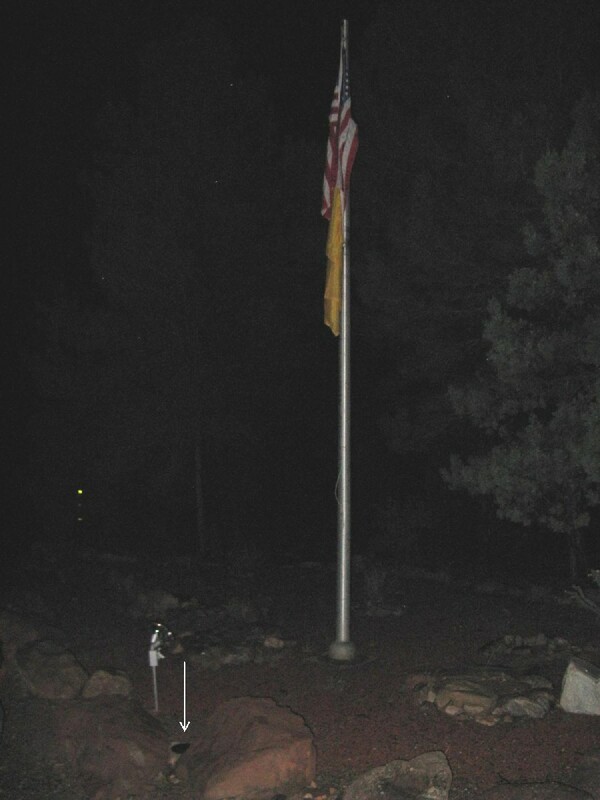 We were joined by a park employee, who promised to replant the flower bed, and take better care of the monument. I also entered it on Whymarking. That was tougher than setting up a cache! I doubt that I would ever go back to that location! What a pain! But, I did it as a courtesy. Oh, well. 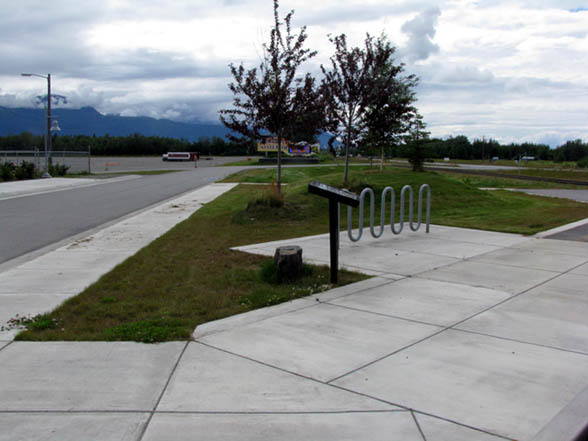 I visited the Alaska Center of Population Disk on Sunday. Coordinates I had were N 61° 34.693, W 149° 08.331 with 7 Ft of variation. 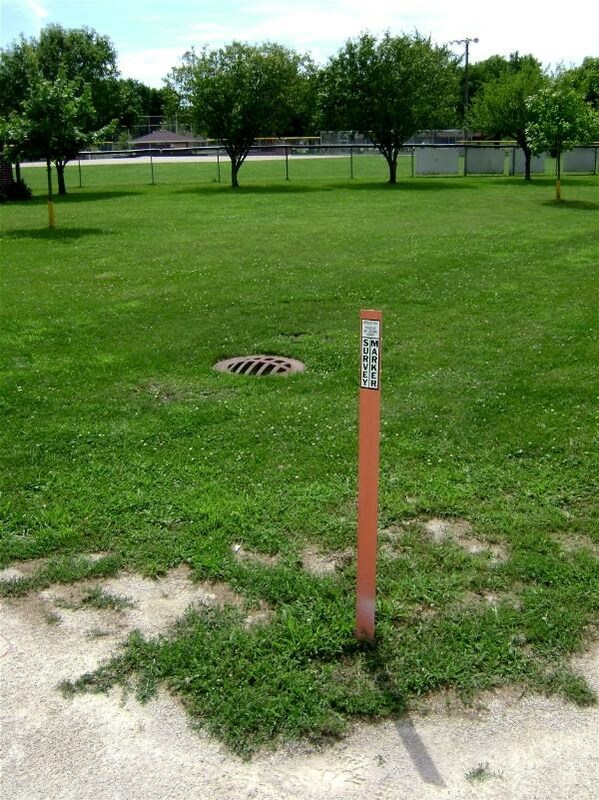 Looks like Illinois has a sewer grate for its monument! I finally got down to the area of the mark and was excited to look for it. I found this witness post but nothing else. Kicked around some dirt and crushed limestone from the walking path, but no dice. 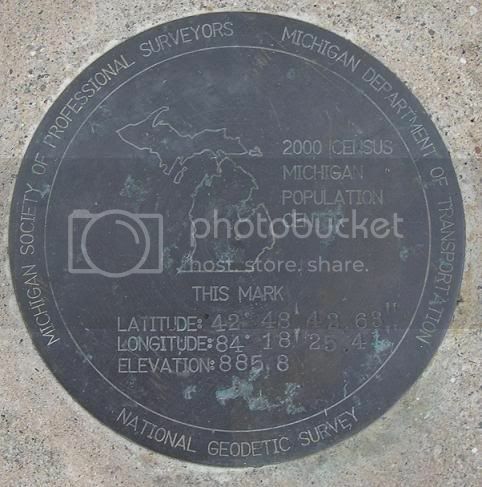 So I circled the park twice, and cannot figure out where the mark is -- if it's even monumented yet. The holoscenes web states: "This station was dedicated July 10, 2004 but has not yet been accepted into the NGS database. It is located at the edge of Centennial Park in Mazon, Illinois." I went to the village hall (closed at 12:30) and later talked to 3 locals who did not know about the mark. One person, after I told him I went to the village hall, told me "yeah it's closed the lady across the street works there and she just came home. You might ask her husband -- he's the police officer here -- but I think he's out of town." Heh heh heh -- I always did like small towns and the people therein. My quest is to be continued, I hope. Heh, I wonder how far out to sea Hawaii's would be. It’s about 13.8 miles SW of Makapuu Light house and 14.2 miles WNW of the southwest point of Molokai. I took a guess and was off by about 14.5 miles. I found West Virginia's disk. The coordinates had me within 4 feet. Having lived in Illinois, I think you're right. And wouldn't be surprised. I think I'll be making a trip down to my state's marker after my trip out west. It's tempting. I thought it was high time for me to get mine posted, so I headed over there this morning. 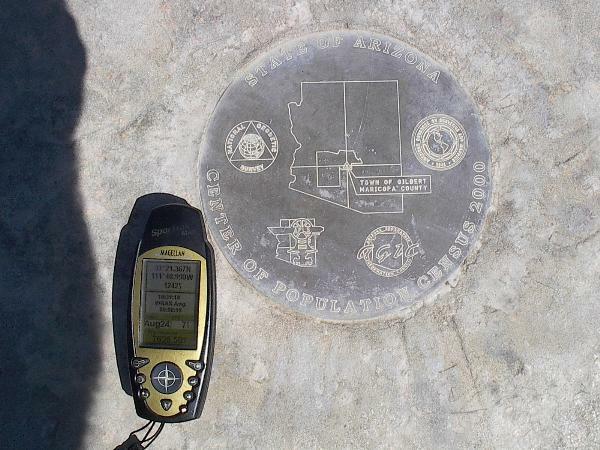 A close-up of the mark with the GPSr. 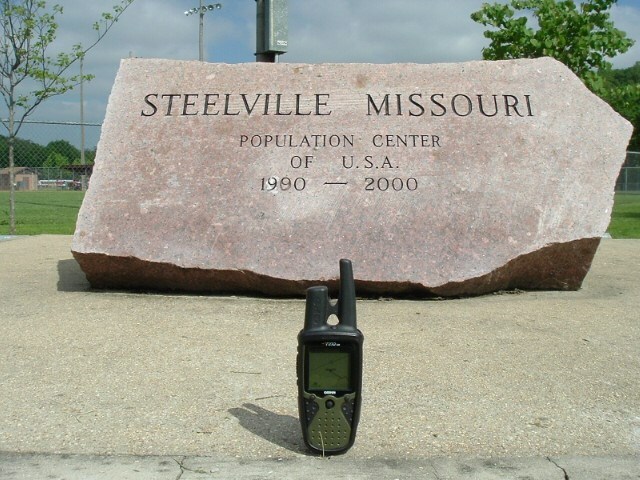 GPS (HH2) co-ordinates N33º 21.367' W111º 48.990'. A close-up of the mark alone. A wide view at the co-ordinates given at the sign, looking west. 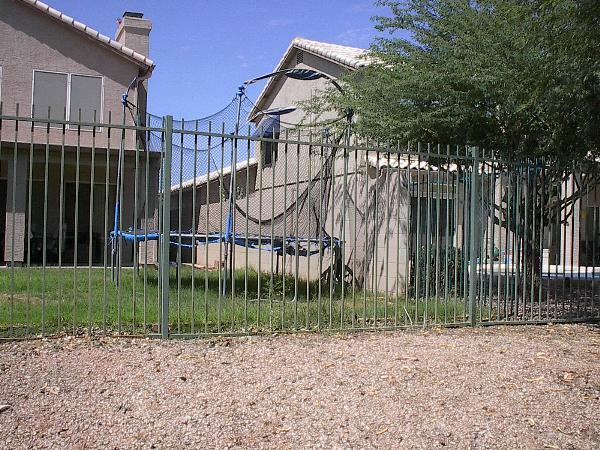 The actual spot appears to be a few feet inside this back yard. I finally got the NM Population Center. It was late when we finally got there, raining and thunderstorms so the images are not that good but I got em anyway. Had a great adventure getting there as well. And here's the "eye-level" of the boulder from about eight feet away. 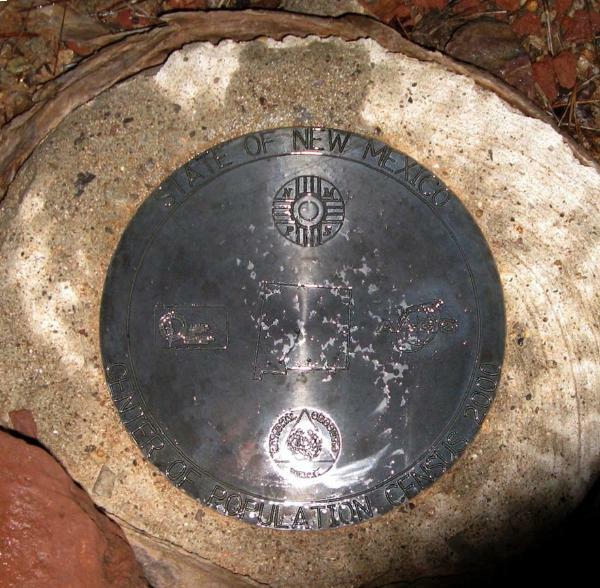 The plaque does not refer to the mark. 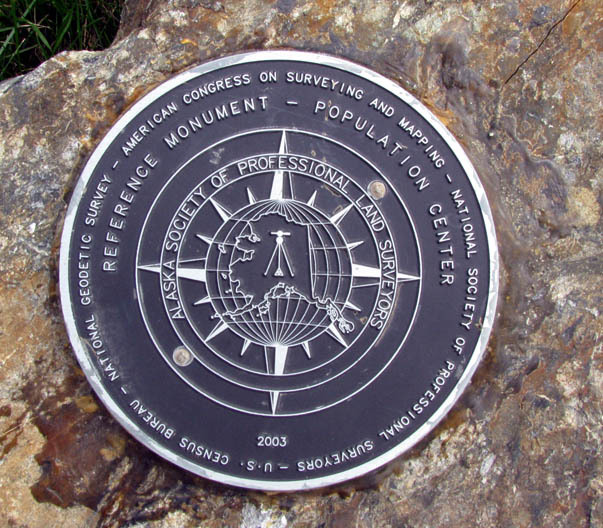 There's a King County disk not far from the boulder. It's a reference mark, and the number on it has been obliterated, apparently professionally. We'll look further into that. aloha...this topic caught my eye and i did a little research...thinking i would either find our marker or make a cache with this as a theme...turnd out that hawaii's COP is in the water.....not just a little bit...but a lot....so is this the only state that wont have a marker?...fortunately i found the info for the counties as well and may pursue locating those COPs or maybe make a cache series....interesting...any input??? ..alas, there are other states which haven't set markers - Holograph's website is a great resource for 'extreme' benchmak info! This last Sunday, the Arizona COP mark was occupied to get it into the database! All computed coordinate accuracies are listed as peak-to-peak values. DU0764 RV 268 N332147. W1114823. Don't you have to observe on two consecutive days 4 hours apart? Not if you wait for four or more years after the monument was installed! 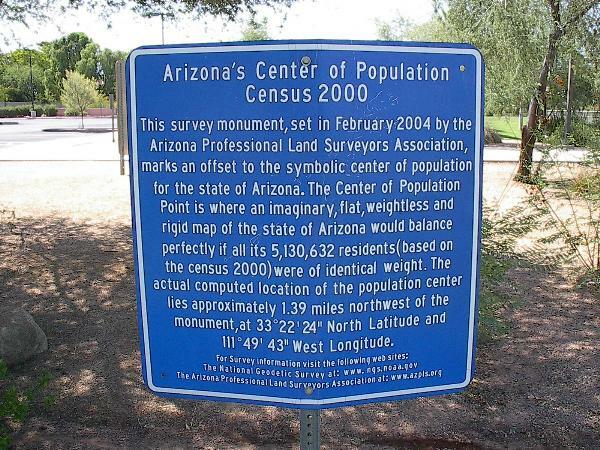 Actually, I was there to discuss the upcoming GEOCAC BM for Arizona, the NSPS Geocache project, and ESRI GIS day. Getting a photo of the monument being occupied was a bonus. Mr. Fisher (Party Chief) stated he needed to return with an extension, as there is a tree blocking to the northeast. P.S. I received a PM from DaveD to tell me that one only needs a single observation session if the data is submitted via OPUS-DB. 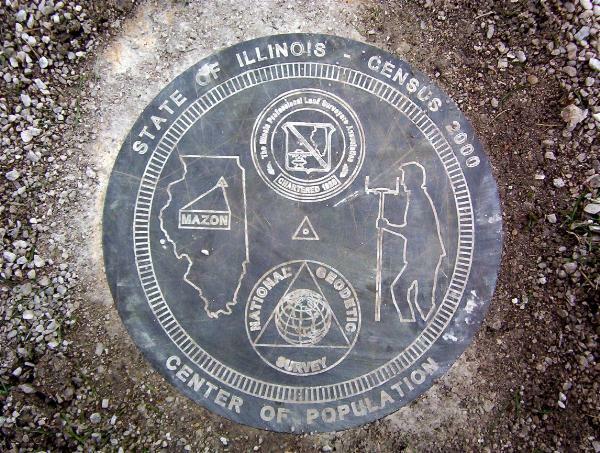 A tenacious cacher placed a geocache near the State of Illinois Center of Population mark (GC1Z7TN). He was lucky enough to find people who KNEW about the mark while I had some trouble on my previous visits (refer to my earlier post in this thread). Now, the witness post is gone, and some of the greenery and crushed limestone (a park recreational path) have been moved to make the mark visible.